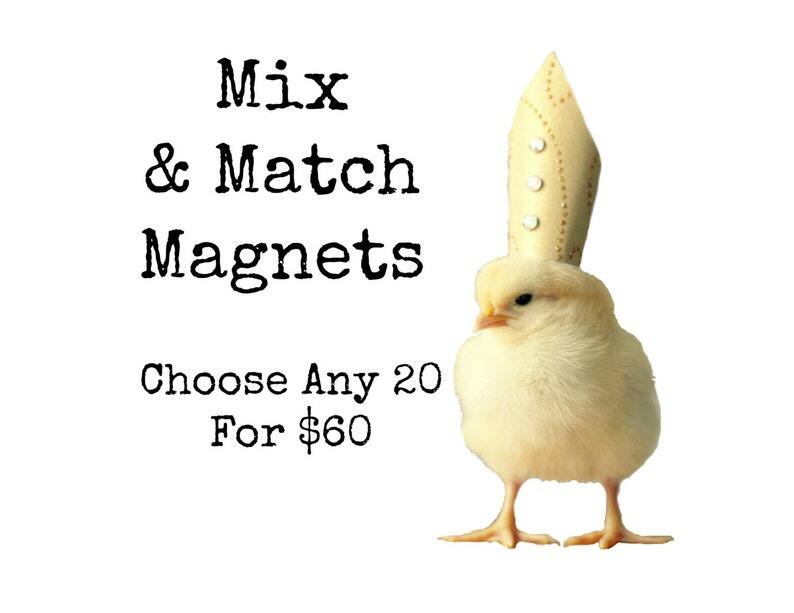 Chicks in Hats Chickens Hats Baby Animal Magnets (20) You Choose! Chicks in Hats magnet set (of any 20 magnets). Chicks in Hats Chickens Hats Baby Animal Magnets (10) You Choose!